Barbara Barclay Moore was born and raised in Clayton, New Jersey. Ms. Moore graduated from Clayton High School as Salutatorian of her class. In an unprecedented feat, Ms. Moore received an Honor from the Gloucester County Board of Chosen Freeholders for having never missed a day of school, nor ever being late to school from Kindergarten through 12th grade. Ms. Moore attended Ursinus College, in Collegeville, Pennsylvania, where she received a degree in Political Science and a minor in communications. Upon graduating Ursinus College in 1989, Ms. Moore pursued her law degree at Oklahoma City University School of Law. As a third-year law student, Ms. Moore worked at an Indian Legal Clinic in Oklahoma City. In 1992, Ms. Moore graduated with her Juris Doctor from Oklahoma City University Law School. Ms. Moore was a member of the Who’s Who Among American Law Students. In addition, Ms. Moore served as President of the Iota Tau Tau Women’s Legal Fraternity at Oklahoma City University School of Law. Since graduation from law school, Ms. Moore has devoted her legal practice to family law, specifically focusing in the areas of divorce, adoptions, custody and other child support matters and domestic violence. 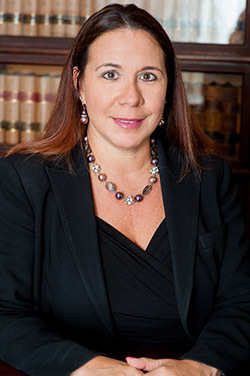 Ms. Moore is a member of several South Jersey legal groups including the Gloucester County and Camden County Bar Associations, as well as, the Family Law Committees for Gloucester County and Camden County. From 1998 to 2003, Ms. Moore was an active chairperson for the Gloucester County Family Law Committee. During this time, Ms. Moore was selected as a presenter for the “Putting Children First” Seminar, which is administered through the Gloucester County Court. Ms. Moore serves as a panelist on the Matrimonial Early Settlement Panel (“M.E.S.P.”) for Gloucester County, Camden County, and Salem County. Further, Ms. Moore is also appointed by the Court of Gloucester County and her fellow colleagues to perform personal property mediation. Ms. Moore is a prior member of the Board of Directors of the PASA. She is a volunteer as a speaker for the Laws of Separation and Divorce Workshop which is a project through the Gloucester County College for the Center for People in Transition. In addition to her practice, Ms. Moore donates her time representing clients through South Jersey Legal Services program on a pro bono basis. She is also a member of the Inns of Court. In her personal life, Ms. Moore resides in Gloucester County with her family. She is a Copper Certified Wrestling Coach through U.S.A. Wrestling. She is a volunteer for the Susan G. Komen Breast Cancer Awareness Charity. Ms. Moore has participated in the Mother’s Day Breast Cancer Walk. Her parents continue to be lifelong residents of the Borough of Clayton and are the former owners of the Barclay Funeral Home in Clayton, New Jersey.